This ticket is good for EIGHT admissions to the event with exclusive personalized table. FOUR teacher tickets in your honor. Sponsorship also includes: Large logo displayed at venue, logo on BCS website with a link to company website, school newsletters, BCS events, exclusive donor panel advertised as business partner in school gym, FULL page add sent home to all BCS families, company provided banner hung on BCS property during the 2019 school year and thank you recognition displayed on school marquee. *Food and soft drinks included with admission. This ticket is good for EIGHT admissions to the event with private table. Sponsorship also includes: Large logo displayed at venue, logo on BCS website with a link to company website, school newsletters, BCS events, FULL page add sent home to all BCS families, company provided banner hung on BCS property during the 2019 school year and thank you recognition displayed on school marquee. *Food and soft drinks included with admission. This ticket is good for TWO admissions to the event. Sponsorship also includes: logo on BCS website, school newsletters, small logo on donor panel advertised as business partner in school gym, FULL page add sent home to all BCS families, company provided banner hung on BCS property during the 2019 school year and thank you recognition displayed on school marquee. *Food and soft drinks included with admission. This ticket is good for TEN admissions to the event with exclusive personalized table. *Food and soft drinks included with admission. This ticket is good for TWO admissions to the event. Sponsorship also includes: logo on BCS website and on large screens at event, school newsletters, HALF page add sent home to all BCS families. *Food and soft drinks included with admission. This ticket is good for EIGHT admissions to the event with exclusive personalized table. *Food and soft drinks included with admission. This ticket is good for ONE admission to the event. Sponsorship also includes: business name displayed at venue, on BCS website, school newsletters, BCS events. *Food and soft drinks included with admission. This ticket is good for ONE admission to the event. The person of your choosing will be listed as a "Friends and Family Donor" at the event. *Food and soft drinks included with admission. This ticket is good for ONE admission to the event. *Food and soft drinks included with admission. This ticket is good for ONE Teacher admission to the event. *Food and soft drinks included with admission. 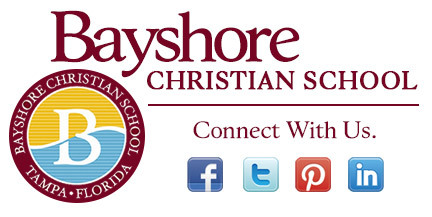 I have read and agree to the Terms and Conditions and give my consent to Bayshore Christian School to process my personal data. I understand I can revoke this consent at any time.